1) I’m addicted to reality TV. I adore the Real Housewives of every city, although my favorite is Orange County, especially Tamra Barney. She’s witty and sassy and I’d like to be her when I’m all grown up. Jemima George’s boss in Cooking Up Love is based on Tamra (with a little of the Countess thrown in), and some of my best lines have been adapted from things she’s said in the confessional segments of the show. 2) I have a degree in Civil Engineering from the University of Iowa. I earned it way back when they’d give anyone a degree. But I have never drawn a single schematic nor run anything close to a calculation on load capacity or concrete co-efficients. To this day, my dad considers it money down the drain (but he’s okay with it, because he’s proud of where I ended up). 3) I was a marketing professional in the world of shopping centers for ten years. Every day was different and I truly looked forward to going to work. It was dangerous work, though. My favorite merchants had my sizes and shoe preferences memorized and knew I walked the mall daily with a credit card in my pocket. Those folks sounded a lot like buskers at a carnival when I passed their stores. 4) At a Christmas party one year, a psychic told me when we were first introduced she saw shoes. My friends swear they hadn’t told her I’d just bought three new pairs two days earlier. I’m still not sure I believe them. I have plans to use my obsession with shoes in my next series, Romancing the Vine. 5) I could give Pollyanna a run for her money in the ‘keeping it positive’ category. In fact, my co-workers used to accuse me of putting my Pollyanna hat on any time a project looked like it might miss the deadline. I don’t see any reason to embrace negativity. It isn’t easy to be positive all the time but it is better to look on the bright side and find a way to get the job done. That was important when faced with tricky plot points and that dreaded spot called The Middle in Cooking Up Love. Okay, so which one is the falsehood? I'm not even going to hazard a guess as I don't want to sway anyone's decision. Although, I can't say I would have taken Miss Gemma for a reality TV addict on #1! LOL, but my gawd, the stories you could get out of those episodes. #2 VERY impressed, whether you used it or not, still had to do the study, girl! #3 How do I get a job doing that??? #4 interests me to no end. My husband, of all people, believes in psychics more than I do. He went to one after his father's funeral back in Australia. I've only gone to one - in Dublin, when I lived there, and it was so vague, I could have read anything from it! But some folk swear by a good one, and return often to have their futures foretold. How do you feel about psychics??? Any good stories out there? So give it your best shot! 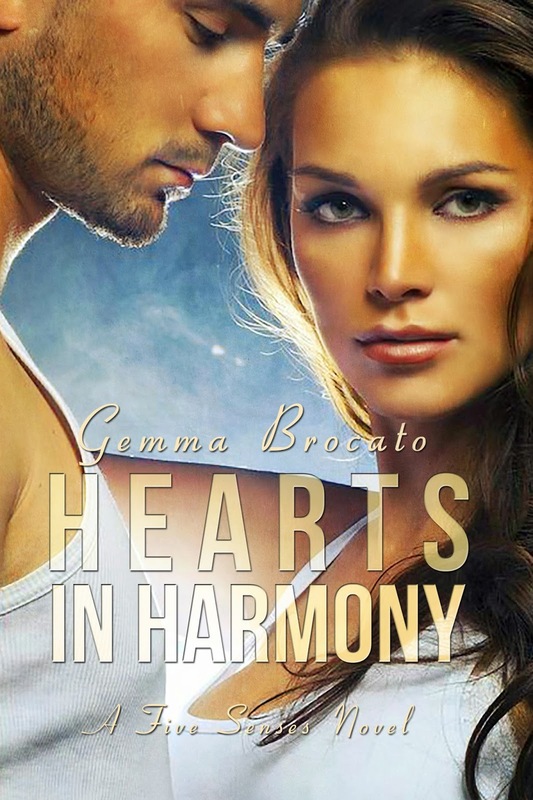 Miss Gemma's, HEARTS IN HARMONY releases tomorrow. Let's get the buzz going for her here, shall we?! All the fun is beginning with a Rafflecopter Giveaway of a Hearts in Harmony swag! 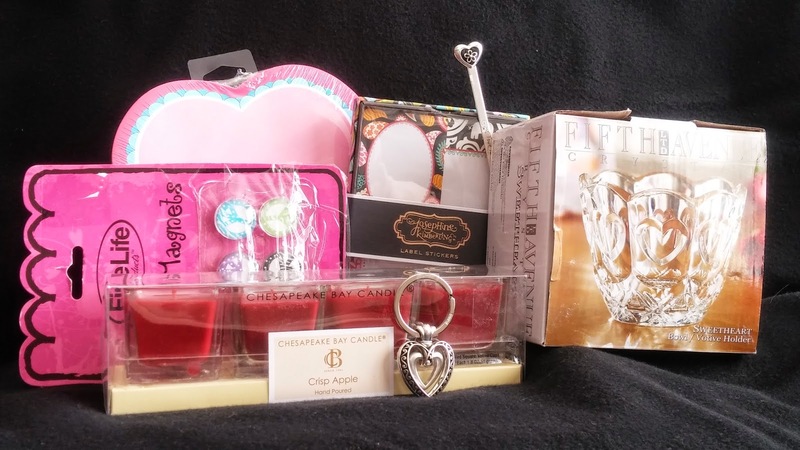 Look at the goodies you could win! Aw Cd, thanks - your response to number 5 touched me. It's always good to be a nut. Thanks for having me over. I'm eager to see what your followers think I've made up. Oh BTW - I'll give one random commenter a digital copy of Hearts In Harmony. It would be nice if you guessed the right answer, but not mandatory. I'm going to go with #2! I'm so excited about this release! Your cover is gorgeous! Oooh good guess Lindy! Although, Miss Gemma IS a smarty pants! :-) Thanks for stopping by and I totally agree - LOVE the cover! Lindy, are you picking #2 because it is book 2 in the series? Thanks for stopping by. Of course not! For me, up in the arctic (LOL), I can't have enough pair of boots! May 4th, and it snowed today. Okay, just a bit of a flurry, but still! Loved this post. I'm going to have to come back though and read it a second time. I have a terrible migraine right now, and my computer screen keeps spinning. That prize pack looks great though, if it would just stop circling around. :) I'm going with #2 being the fib, but if I come back later and if I change my mind, you'll know why. Congrats on the release, Gemma. *going to get my migraine meds now* Will feel less disorientated real soon. Joanne, I'm so sorry to hear about your migraine. I've had them and hate them. I load up on a lot of pain reliever to back them down to manageable. I hope it gets better soon. Thanks for taking the time to stop by. Hmmm - Lies by layer, Tera. That thought never occurred to me. I'm glad you think I'm impressive as a fibber. I love having a job where I get to make stuff up. We'll see what happens a little later. See, that's the hard part Tera - only a part of the answer can be false to throw the whole thing off! But it's a great way to get to know our authors a little bit better. For the record - I did graduate from the University of Iowa, and yes, it was back when God was a boy. But my degree is in Journalism. And my dad is really proud of me. Thanks for playing everyone. Ah ha! So #2 it was. A degree in journalism is just as impressive. No wonder where your writing skills started! And a HUGE Congrats to Miss Tera on winning a copy of Hearts in Harmony. Yeehaw!